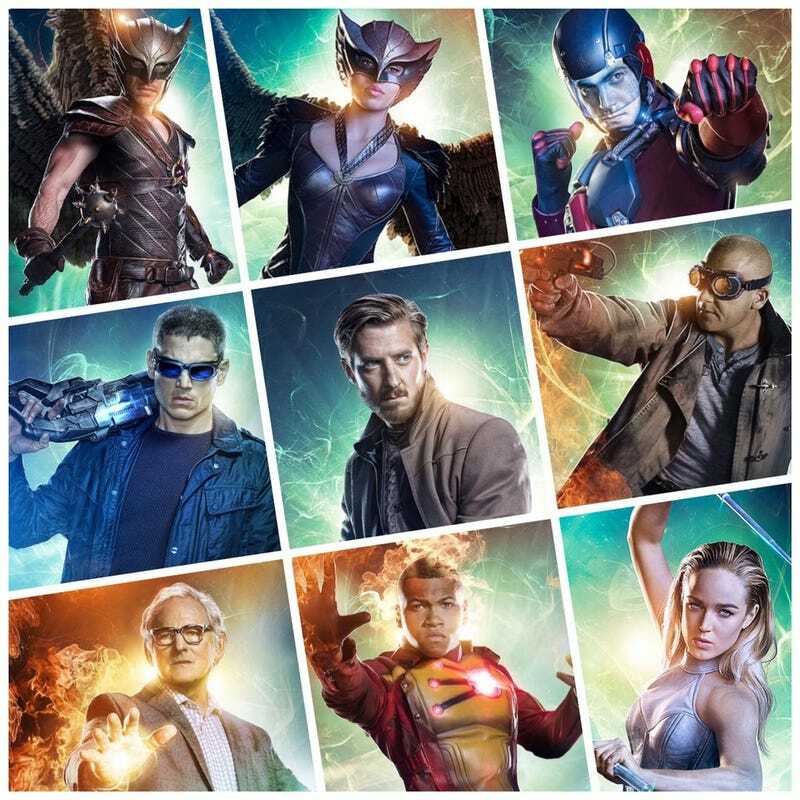 So looking at this picture it became glaringly obvious that Legends of Tomorrow needs more women. People have mentioned this before and I’ve even thought it but seeing them displayed as if on Hollywood Squares drives this disparity home. So although I would absolutely love to see Curtis slap a black T on his face and join the team as Mr. Terrific. I thought I would list five female heroes that would also be terrific choices for this team. 5. Big Barda - I feel like she would add great fun to this lineup, like Wonder Woman but with a Thor sensibility. I also love it when characters bring that alien/outsider perspective. I list her as number 5 because with all the New Gods weirdness I don’t think the Flarrow-verse is ready for that or particularly wants it. Still, might be worth it just to see her toss Heatwave across the room. 4. Jade - She’d be great as a Green Lantern stand-in. All the powers without all the Green Lantern Corps baggage. You don’t even have to get into the fact that she’s Alan Scott’s daughter if you don’t want to, but if you do just make her from Earth-2 and keep all that stuff separate. I know other people have mentioned Carol Ferris (Star Sapphire) as the team’s GL, but she’s too closely tied to Hal Jordan’s story. Plus, Jade’s energy constructs being green would visually set her as the Green Lantern of the group. 3. Star Girl - This one I feel like it’s an easy fit into the Flarrow-verse and her bright-eyed, rookie naivete would be a nice counterbalance to the more worn members of the team. I could definitely see Sara taking her under her wing (so to speak) like she did with Sin. Introduce her on Flash and then move her over like they did with Firestorm. 2. Jesse Quick - She’s smart and strong. Displays natural leadership abilities and it would be great to see her interact with Ray. (Who is like a bubblier version of her father.) I’m totally biased here. I love this character and would kill her see her get her speed and join the Legends of Tomorrow. Every super team needs a speedster, right? The character has already been introduced. She’ll hopefully get her speed before the season is over and she’ll be ready to join the team next season. I really hope the show runners are reading this. 1. Vixen - This one’s a no-brainier. She’s already met Flash and Arrow. She’s currently acting as a hero in her own city. She’s powerful and cunning enough to hold her own with this team. (Hell, she took on both Arrow and The Flash in her first outing and effectively won.) Also if Constantine joins next season (as rumored) he can help her explore the mystical elements of her totem. I’m surprised she isn’t on the team already! Come on, guys. Bring her over to the live action fun! Update: Okay, Vixen has now moved into live action and it was great! Would love to see more of Megalyn Echikunwoke. Bonus: Dr. Light - I think she’d be fantastic on Legends and if Cold and Heatwave cycle out, she could fill the “ex-villain/not quite a hero” trying to redeem herself trope. Plus, if Jesse is on the team, these two Earth 2 ex pats would have an exciting adversarial dynamic, but I think it’d be too crazy (not to mention taxing for the actor) having two Linda’s running around. As Wally’s story develops our Linda might play a bigger role on The Flash. Still, might be cool for an episode or two. So what female characters would you like to see join the Legends of Tomorrow?